Join us at Black Box in the Cathedral Quarter for a night of music, drinking and drag! 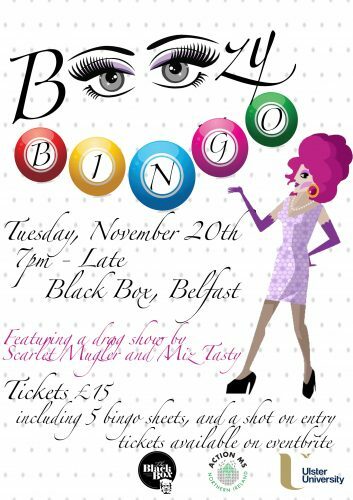 Boozy Bingo, hosted by Scarlet Mugler and Miz Tasty, followed by an out of this world drag show. Tickets are being sold at £15 per person, including a drink on arrival and 5 game sheets for bingo! All in aid of Action MS to help raise money for this wonderful charity, donations are greatly appreciated! 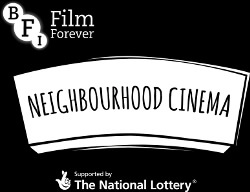 Fancy a bigger chance of winning some brilliant prizes? 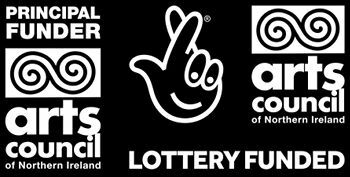 Additional bingo sheets are available at £1 per sheet!